When members of the House of Representatives return to Washington from a nearly three-week break at the end of the month, they will have left themselves just four legislative days to come to some sort of agreement that will allow the federal government to continue operating after its current spending authorization expires. For multiple reasons, many people in Washington doubt they’ll be able to do it. The Republican leadership in this Congress has not, so far at least, been particularly adept at getting its troops all marching in the same direction. Hard right elements in the House Republican conference tend to use must-pass bills like this one to drag concessions out of the rest of the GOP. And House Democrats have shown little appetite for bailing the majority out without getting some concessions of their own. In addition, Mick Mulvaney, the director of the White House Office of Management and Budget, is reportedly pushing both sharp spending cuts and a rider to the spending bill that would cut off large amounts of federal funding to so-called “sanctuary cities” that don’t cooperate with federal immigration authorities -- the latter is an absolute non-starter for House Democrats. But in an interview Friday, Rep. John Yarmuth of Kentucky, the ranking Democrat on the House Budget Committee, said that he remains hopeful that Congress will find a way to keep the lights on at the end of the month, most likely by punting the hard decisions about the spending bill by passing a continuing resolution that would buy leaders another 15 or 30 days to work out a final spending deal for the remainder of fiscal 2017. Yarmuth wouldn’t rule out the possibility of another government shutdown if President Trump, the Republicans and Democrats hit a major impasse in the coming weeks, but he said Senate Majority Leader McConnell (R-KY), House Speaker Paul Ryan (R-WI) and other GOP leaders appear determined to avoid one that would further add to the GOP’s appearance of ineptitude. 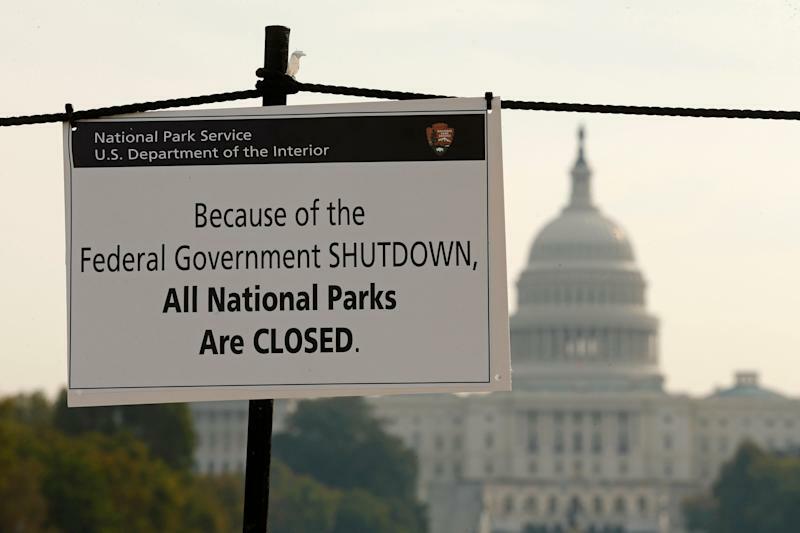 “So I think that in the final analysis there won’t be [a shutdown], but there will be a lot of brinksmanship going on, I’m sure,” he said. One wildcard is Trump’s reported plan to use the threat of withholding $7 billion of cost-sharing subsidies from the insurance industry as a way of extracting concessions from Democrats. The subsidies are part of the system set up under the Affordable Care Act to reduce the deductibles and copays for seven million Americans covered by insurance sold through the law’s insurance exchanges. It’s a puzzling gambit from the President because if he were to withhold the subsidy payments, the immediate results range from bad to worse. The best he could hope for is that the insurance exchanges survive, but consumers pay higher prices. But it’s possible that some or all of them would collapse. Yarmuth confirmed that Democrats likely would demand that the subsidies be preserved as one condition for reaching a spending agreement before the April 28 deadline. “I would think that would be a good thing for us to do to use that as leverage, if only to negotiate out some of the other things the Republicans want to do, like defunding Planned Parenthood and building the border wall,” he said. “It seems to me to be self-defeating to inflict obvious sabotage on the system,” he added.